RENEWABLE energy independent power producers say that they are concerned that the latest round of successful bids have still not achieved financial closure, creating uncertainty over planned investments in the sector. Previous rounds of the renewable energy independent power producer procurement (REIPPP) process have been a great success, with 21 renewable projects, which will provide 1,076MW, connected to the grid. The renewable programme is viewed as important means to help close the power gap in a period when SA’s energy supply is extremely constrained. However, the third round ran into problems, initially due to a delay in undertakings by Eskom. Eskom has also indicated that it cannot invest in grid connections for further rounds of the REIPPP. Eskom said on Tuesday that it had now provided quotations for all the third round project connections. The next stage, which is the management of the financial close, is the responsibility of the Department of Energy. An initial deadline of the end of July was shifted to November 24. As the close must be staggered to avoid a knock on the currency, the South African Renewable Energy Council has raised doubts over whether the deadline will be met. The Department of Energy did not respond to several inquiries over two days on whether it would make Monday’s deadline. The outstanding success of the first two rounds of renewable bids, generated about R120bn in investment, says the council. It says that these investments are now in jeopardy as uncertainty grows over subsequent rounds. CEO of the council Johan van den Bergh says at some firms production of wind turbines was stalled due to the delays while several manufacturers of photovoltaics were running at 2% capacity, despite millions made in investments. "The viability of manufacturing facilities and the accompanying jobs and companies may be threatened if finality does not come before year-end. Uncertainty about the timing of announcing the preferred bidders for round 3.5 (for concentrated solar power only) and round 4 has also added to discomfort." Eskom recently made it clear that it is unable to fund grid strengthening any further than the requirements of round 3. In reply to questions Eskom said on Tuesday it was investing in the transmission infrastructure in the Northern Cape to accommodate about 500MW of renewable energy. This would be more than adequate to meet the requirements for rounds one, two and three of the renewable energy bids, it said. However, the power utility would not be able to provide for the needs of round four as this was not included in the plans submitted to the National Energy Regulator of SA under the multiyear price determination which runs from 2013-14 to 2017-18. Manufacturers of renewable-energy inputs have called on government to urgently finalise the financial closure for the 17 projects identified as preferred bids following the third procurement round under the Renewable Energy Independent Power Producer Procurement Programme (REIPPPP). It was estimated that successful closure could represent a R10-billion opportunity for the local supply industry, with the first two REIPPPP bidding rounds having facilitated investments worth about R120-billion for foreign and domestic independent power producers. The third-round preferred bidders were identified on October 29 last year and the projects were initially scheduled to reach financial close on July 30, 2014. However, financial close was subsequently delayed, primarily as a result of grid-connection problems and a senior Department of Energy official recently indicated that the revised deadline of the end of November might also be missed. In a statement released through the South African Renewable Energy Council (Sarec), green-economy manufacturers warned that the viability of their facilities, together with the accompanying jobs, could be threatened unless there was finality before year-end. DCD Business Manager Henk Schoeman, whose company has invested R300-million to set up a wind-tower manufacturing plant at Coega, in the Eastern Cape, said the delays were having adverse consequences. “The stellar success of the programme and rapid growth in the industry has meant that we are under pressure to manage our production with extreme care to ensure we deliver to all our clients on the contractual dates, given our present capacity. “But the present delays have extremely adverse consequences as we now have to wait with production until financial close occurs. Moreover, our future is dependent on the comfort of our clients that the programme is proceeding,” Schoeman said. Similar distress was building, Sarec said, in the solar photovoltaic sector, where module manufacturers such as Jinko Solar, SolaireDirect and ARTsolar had collectively invested R245-million in facilities in Cape Town and Durban over the past four years. The investments had created 510 jobs. “These companies have less than 2% of their production capacity taken up by local orders and have, as a result, been forced to seek foreign markets in the short term,” Sarec warned. Concentrated solar power (CSP) developers were equally concerned, owing to the fact that the outcome of the CSP-only tender, which closed in March, had not yet been announced. Speaking at a recent CSP Leadership Dialogue, European Solar Thermal Electricity Association president Dr Luis Crespo, said certainty was vital to ensuring the industrialisation, localisation, job creation spin-offs from CSP investments. Disquiet was also expressed about the current uncertainty surrounding bid-window four, under which preferred bidders were scheduled to be named on November 24. TODAY 60 young South Africans graduate from the Kimberley Maths and Science Academy. Set up by Anne MacLean in 2006, with the specific goal of providing talented students from poor backgrounds with an opportunity to achieve their potential in the gateway subjects of maths and science, the academy has over the past four years provided these Grade 9-12 pupils with continuing support in maths, science and English through afternoon classes and holiday academies. My company, Mainstream Renewable Power, has supported this initiative for the four years because we believe SA needs young engineers who will help build a new sustainable future for the country. This is increasingly important as SA, like many countries, faces a long period of economic slowdown, described as secular stagnation. Former US treasury secretary Larry Summers has revived this economic theory, which was first articulated in the 1930s, to describe the extended slump that followed the US’s great crash, where the difficulty of "maintaining sufficient demand to permit normal levels of output" was addressed only by Franklin Roosevelt’s New Deal and the very significant stimulus to the US economy that occurred through the country’s mobilisation for the Second World War. A recent report from the International Monetary Fund has analysed the effect of secular stagnation on economies such as SA’s, where "serial disappointments in growth have led to a ratcheting down of medium-term growth forecasts". Its remedy for this cycle of weak demand and anaemic output is to develop infrastructure, both to stimulate demand, and to create the framework for a more robust economy. Infrastructure investment boosts demand, says the report, "through the short-term fiscal multiplier, similar to other government spending, and by crowding in private investment…". In a report written in 2012 economic analysts at the Centre for Economics and Business Research argued that investment in renewable energy in the UK would have a larger than normal multiplier effect due to the stagnation of the economy. I suspect that this effect would apply in SA as well. It was the opportunity to develop new infrastructure with the government and other partners that enabled us to create Mainstream SA. The government’s Renewable Energy Independent Power Producer Procurement Programme has delivered 1,400MW of operational plant with an immediate further pipeline of 3,700MW of new electrical infrastructure, which is providing additional electricity to the national grid to help relieve unserved demand, and bringing economic activity to many economically marginalised rural areas of the country. It stands as a successful global model of the benefits of delivering infrastructure in a weakened economy, both in terms of stimulating demand and attracting investment. It is important not to underestimate the programme’s effect of "crowding in private investment". In only three years the programme has attracted $14bn of private sector capital, which has in itself acted as a significant stimulus to the local economy. It is quite probable that these projects will be self-financing for the public purse — although the government provides a fixed price for the electricity produced, the cost of doing so will be paid back through general economic growth, and a reduction in the country’s debt-to-gross domestic product ratio. Companies such as mine have grown in SA as we seek to develop and build new infrastructure under the programme. As the government looks to review its medium-term energy strategy I would urge it to extend this programme, and procure a consistent amount of new renewable energy every year for the next 20 years. At present more than 40% of the capital expenditure necessary to build wind and solar power plant in the country is used to acquire goods and services supplied from SA. This figure could be much higher if the government were to commit to the programme over the next 20 years. I have made the point with the government on a number of occasions that no matter which boilers are chosen for a coal plant, or which steam or gas turbines are deployed, they are unlikely to be manufactured locally. However, with wind and solar photovoltaic, broadly everything can be manufactured here, given sufficient demand. This month’s opening of the GRI wind turbine tower plant at Atlantis, Cape Town, is a clear example of this developing trend. Not only will equipment be manufactured for the domestic market but the rest of sub-Saharan Africa could also be supplied from here. In addition, the renewable energy producer programme has delivered new generation plant to the grid on time and on budget, with a levelised cost (the net cost to install a renewable energy system divided by its expected lifetime energy output) of energy less than that forecast for a new coal plant. This is a remarkable achievement for the government, and is indicative of the extensive solar and wind resources available in SA. Why is all of this important to the 60 Kimberley graduates? In a powerful analysis of the effects of secular stagnation on SA’s economy Sanlam group economist Jac Laubscher wrote last week that one of the dangers was the potential for this stagnation to reduce the contribution of education to the development of human capital. His remedy lies in structural reforms that would include improving the education system, investing in physical infrastructure and increasing incentives for low-skilled workers to enter the labour market. I agree. That is why Mainstream is backing the Kimberley Academy and investing in new national infrastructure. The academy’s stated vision is to provide support and opportunities to foster success and ultimately increase the number of future scientists, engineers and leaders of the calibre needed for the growth of SA’s economy. That is an ambition that we, and the other supporting partners across government and the private sector, fully endorse. I anticipate that the Kimberley graduates will have a huge part to play in helping to design and build the new infrastructure that will return this country to a period of significant growth. There is another factor at work, which gives rise to optimism that we are headed in the right direction, and that there is a route out of secular stagnation. It is the effects of new technology, such as renewable energy, on the economies of developed and developing nations. In a book published this year, The Second Machine Age, the authors argue that it can take some time for breakthroughs in technology to fully affect productivity. Though US factories first used electricity in the 1890s, productivity growth didn’t accelerate until the 1920s. This, they argue, was because electric motors at first just replaced steam ones. It was only when staff accustomed to the steam era retired, to be replaced by younger colleagues familiar with electricity’s potential, that plant was reorganised to take advantage of electricity. In a recent review, a commentator asked, in the context of secular stagnation, whether behind the apparent global slowdown, we may also be seeing a pause as we adjust to new technology. That is certainly the case in SA, as we shift from old and dirty fossil fuels to the sustainable renewable resources of the future. It will be our Kimberley graduates who will deliver this future for us. • O’Connor is CEO of Mainstream Renewable Power. A R300-million wind-turbine tower factory opened in Atlantis on Wednesday, the first in the Western Cape and the second in the country. The factory, built by the Spanish corporation GRI Renewable Industries, will make 50 turbine towers a year, employ 200 people and contribute to the government’s requirement of having a percentage of local content in all renewable energy projects. Trade and Industry Minister Rob Davies said at the opening that 26 percent of the cost of a wind turbine was in the tower. “It doesn’t make sense for us to be importing them when we can very well make them in our own country. We believe there is significant space in South Africa for investment of this sort and a bright future for renewable energy for solving the energy crisis which is constraining investment generally,” Davies said. The government’s renewable energy programme, a partnership with private companies which bid to be able to build power plants, had won accolades internationally. He quoted Bloomberg’s New Energy Finance Climatescope 2014 report which had ranked South Africa third, after China and Brazil, for new investment in clean energy. The renewable energy programme had also won the Green Infrastructure project of the year last year in the Global Infrastructure Leadership Conference in New York. “This shows our ability to support a big shift to renewable energy and help avoid catastrophic climate change by reducing our carbon footprint,” Davies pointed out. He said the green economy was a key focus in Trade and Industry’s industrial policy and provided significant opportunities for job creation and economic growth. The amount of local content required by government in renewable energy plants had been steadily increasing, starting at 25 percent in the first round of bids to build from the private sector, and would be 40 percent in round four, scheduled to take place on November 24. The Western Cape government is to apply to Trade and Industry to have some of Atlantis declared a Special Economic Zone to help speed up industrialisation through a suite of tax and other incentives. Transport and Public Works MEC Donald Grant said last year that 652 sections of wind-turbine towers had been transported on provincial roads, 221 blades, 111 nacelles and 98 hubs. The impetus of the renewable energy investment must be used to expand the country’s rail freight, and move more freight from road to rail. Currently, 89 percent of freight was transported by road. The congestion and damage to roads from this was untenable and would offset the gains in the green sector. Mayor Patricia de Lille said the GRI factory was the first major investment the city had attracted through its pilot investment incentive scheme in Atlantis. The city had established a green-technology manufacturing cluster on vacant city land in the Atlantis industrial area in 2011, and had fast-tracked business applications in the green-technology sector. Other incentives included exemption from application fees and waiving development facilitation fees. “Factories such as GRI have gone from blueprints to being built in record time,” she said. Johan van den Berg, SAWEA CEO, speaks about the importance of Wind Energy in South Africa in the very near future. Various stakeholders have taken part in the National Climate Change Response Dialogue Conference. Dr Velaphi Msimang from Mistra, Tsakani Mthombeni from TIA and Johan Van Den Berg from SAWEA are interviewed. Delegates at the South African Wind Energy Association’s (SAWEA’s) Windaba 2014 heard that the data from the South African Wind Atlas used in the draft version of the latest update of the Integrated Resource Plan (IRP), which makes recommendations on the country’s future development of energy technologies up to 2030, had been conservative. Keith Bowen, Eskom’s Chief Adviser of Power System Economics explained that the data he used for a cost comparison with other technologies came from a model that did not anticipate the actual performance of operating wind farms. This is because the wind map had not been calibrated at the time and further because wind farm developers search out optimum sites within generally windy areas. These sites show wind speeds exceeding the surrounding average. This news is significant for the industry as it means that running an updated model with the new inputs would lead to a much higher allocation of wind power in the country’s long term energy master plan. Such an increased ambition would allow the industry to attract equipment manufacturers to South Africa and raise the percentage of project funds spent locally (“local content”) level of wind farms from the present 46%, towards the long term target of 70%. As an example cost comparison, wind energy now is one eighth of the price of the peaking plants that Eskom currently calls upon during times when electricity supply is tight. Acting Director General of the Department of Energy Dr Wolesy Barnard told conference attendees that Eskom is already reliant on the contribution of renewable energy to the grid. The amount of energy available from renewable sources is increasing all the time as more plants are built and connected to the grid. Delegates also heard that wind energy is now set to make a contribution of more than ZAR 7 Billion to communities and socio-economic development over the next 20 years in South Africa. With five wind farms in full operation, 22 large-scale wind farms currently under construction and another 700 MW expected to be awarded imminently, the total capacity amounts to 2684MW set to be installed. Each of these developments has committed significant financial investment to nearby communities. Further wind energy development would result in more investment in communities. SAWEA considers delivery on its socio economic compact with government as core to its mandate. “The theme of our conference ‘Power2thePeople: changing lives through wind energy’ has provided valuable ongoing debate and discussions as well as the benefit of shared experiences on the subject of working with communities and how funds can be most effectively invested,” said SAWEA Chairperson Dipolelo Elford. “The industry is fully committed to working with communities that are hosting its wind farms to offer direct, sustainable, long-term benefits and rural development”. Direct, indirect and induced employment opportunities are created during all stages of the development, implementation and operations and maintenance (O&M) of the wind farms, yet only a fraction of direct jobs are accounted for in the REIPPPP. With the current awarded installed capacity and future IRP2010 allocation, a conservative figure of 77,700 cumulative jobs (person-years) may be created by 2030, 54,400 in the 20 year O&M period. This results in a minimum of 3,600 direct long-term and sustainable jobs, predominantly for semi-skilled and skilled individuals in local communities. 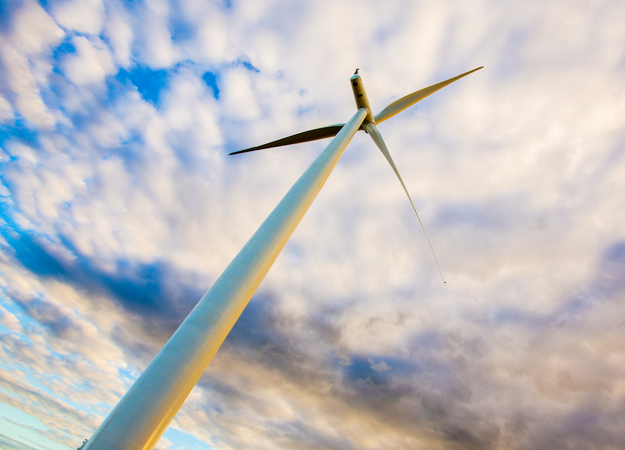 Data on the output of South Africa’s wind farms reveals they are exceeding by a significant margin estimates used to model the nation’s 20-year energy blueprint, according to Eskom. The utility said figures used in the draft of the latest update to the Integrated Resource Plan, which makes recommendations on the development of energy technologies up to 2030, had been “conservative”. Eskom chief advisor for power system economics Keith Bowen said it failed to factor in developers seeking out optimum sites with wind speeds exceeding an area’s surrounding average. The findings pave the way for an updated model that could lead to the government making a higher allocation of wind power. South African Wind Energy Association chief executive Johan Van den Berg said: “It’s pleasing to note general acceptance of our long-held belief that wind farms benefit from an extremely good resource in our country. Wind energy now is one-eighth of the price of the peaking plants Eskom currently calls upon during times when electricity supply is tight. Renewable Energy has been identified as one of the main climate change mitigation interventions for South Africa. As a signatory to the United Nations Framework Convention on Climate Change, South Africa has pledged to strive to achieve 34% reduction of greenhouse gas emissions by 2020 and 42% by 2025. BirdLife South Africa supports the responsible development of Renewable Energy in South Africa with due regard to minimising the impact on birds. The Birds & Wind Energy Specialist Group – a group of specialists who guide BirdLife South Africa and EWT’s work towards minimising the impact of wind energy on birds – has been identified as a key stakeholder in the roll out of RE developments and provides advice to government, industry and environmental consultants. (1) Renewable Energy Independent Power Producer Programme (REIPPP). This programme has been designed to allow independent power producers to generate renewable energy and input this into the national grid. Initially there were hundreds of EIA applications for wind and solar energy sites. Some have been withdrawn or have lapsed. Only a small percentage of those projects with environmental approval will ever be built. There is a lot of development pressure in the Eastern Cape due to the perceived socio-economic benefits of renewable energy development. In the Western Cape, most of the proposed wind farms are in the West Coast and Karoo. Bids have recently been submitted for the 4th round. – Round 1: Dassiesklip Wind Energy Facility, Hopefield Wind Farm (operational or near operational). – Round 2: Wind Farm West Coast 1, Gouda Wind Farm (under construction). – Round 3: None in the Western Cape. Wind Energy and Birds. Wind energy can have a negative impact on birds. Potential threats include collision, habitat loss, displacement, and disturbance. Not all turbines are dangerous. Site selection and monitoring are critical. Experience in other parts of the world is that mortality through collisions is a rare event. One study looked at statistics from projects in various parts of the world and came up with an estimated average of 2.3 mortalities per turbine per year, but the variation in rates between wind farms is significant with a range of 0-60 mortalities/turbine/year. Most groups of birds are affected but raptors account for a large number of mortalities. (3) Solar Energy. Solar plants/farms are designed to generate power through the photovoltaic (PV) process or concentrated solar power (CSP). CSP has the capacity to store energy for up to 9 hours. – Vredendal, Electra Capital, Aurora, SlimSun Swartland Solar Park, proposed Touwsrivier facility. Solar Energy and Birds. Habitat loss was initially thought to be the biggest problem with solar energy. However, there is increasing evidence that birds can also be impacted by impact trauma or stranding if they collide with the reflective panels. Solar flux (areas of concentrated solar energy) at CSP facilities using power towers can also affect birds by burning them. (4) BirdLife South Africa’s Approach. – Tools: Avian Wind Sensitivity Map, Strategic Environmental Assessment, project screening. – Tools: Best Practice Guidelines, review monitoring reports. Note: The Letseng wind facility in Lesotho has been approved. There is huge concern regarding the impact on the endangered Bearded Vulture. BLSA is working closely with the Department of the Environment in Lesotho and the developer in an attempt to resolve the issue. (5) Challenges and Future Focus. Solar energy: Monitoring and impact assessment. Wind energy: (i) Post-construction monitoring critical; (ii) Operational phase mitigation. – Defining “acceptable” levels of impact. – Data management and access to data. – Cumulative impact on populations over a number of turbines. (6) What Bird Clubs can do. Information gathering (e.g. SABAP2) to feed into Sensitivity map and screening. Comment on EIAs – local knowledge, engage with the details, and support Best Practice. Lobby developers to contribute to local conservation initiatives. Keep BirdLife South Africa informed. – (KH): There is the question of the distance covered by power lines from turbines to energy grid. EIAs cover only the immediate area of the turbines, not the area covered by power lines. (SR) Agree. The guidelines recommend that power lines be checked and marked. – (DW): Are wind farm developers adhering to the guidelines given? (SR) Compliance is increasing. This is where post-construction monitoring is important. – (DW): How sure are we about the predictions made in EIA? (SR): The Sensitivity map is being updated. It sufficed for initial guidelines but more research is now needed. – (TW): BLSA is pushing an over emphasis on raptors being impacted by wind turbines; other species are not taken into account to the same extent. (SR): Raptors do seem to be more vulnerable than waterbirds which seem to avoid turbines to some degree. (TW) They fly at night at turbine height. (PN): Waterbirds are a priority at the Gouda site. – (PN): Observers monitor species on the map, flight path and height at which the bird is flying. The information is given to the contractor. PN’s concern is whether there is an oversight mechanism to ensure it is being followed. (SR) Yes, this is the role of the appointed bird specialists. Data recorded by observers is taken into account and adhered to where clear patterns emerge.